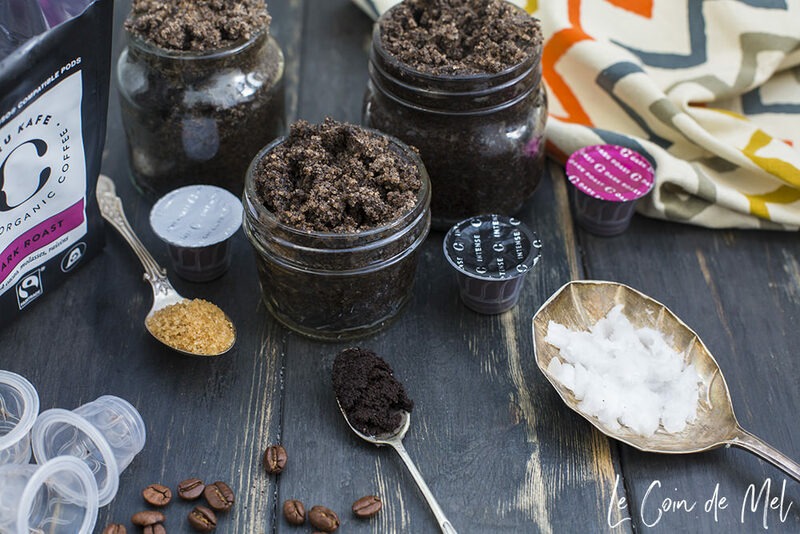 Home » Crafty Corner » Homemade Coffee Sugar Scrub – 3 Ingredients Only! 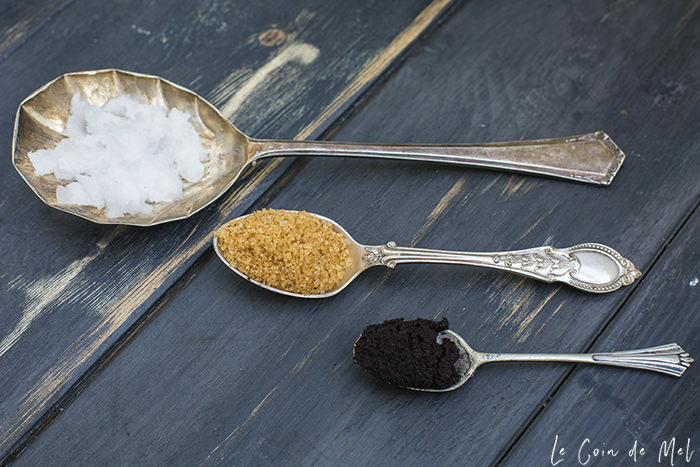 To celebrate Organic September, let me share with you one of my favourite body essentials ever: a fully organic coffee sugar scrub. It is honestly better than any scrub I have ever bought, and I have bought a lot of scrubs in my 37 years! If you package your scrub nicely, it will also make a really lovely, thoughtful homemade present. Organic September is about to draw to a close and I’m quite happy to say I’ve made a few changes to support the Soil Association’s month-long campaign. For a start, whenever I have been shopping this month, I have tried to get one or two more organic products than I would normally buy. I was already buying some of my veg, Organix treats for the whole family and Rachel’s Organic Greek yoghurt. This month, I started buying more organic fruit and veg, eggs, Arla free range organic milk and coffee too. 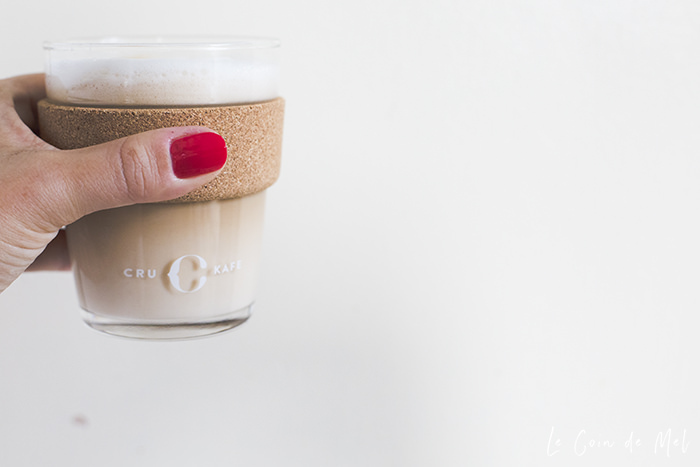 My favourite discovery this month has been CRU Kafe’s high quality organic coffee. It’s available in pods that are fully recyclable and compatible with Nespresso. I have to admit that until I tried them, I had only ever bought capsules made by Nespresso. 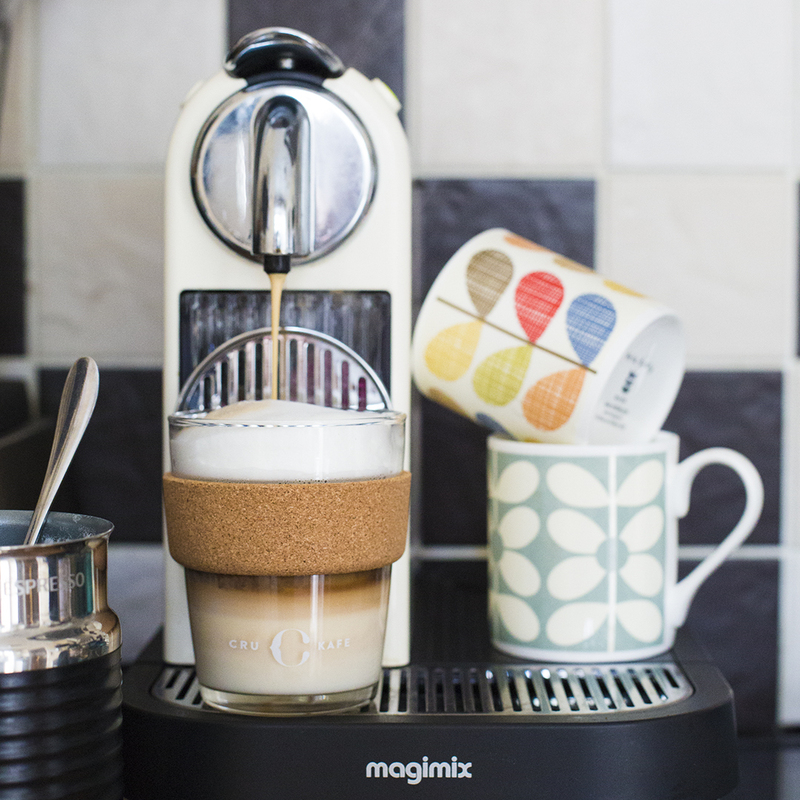 I love the Magimix coffee machine I bought for myself on Mother’s Day last year, and I was too scared to break it to try anything else. What CRU Kafe had to offer was different though, and so close to values I like to live by, so I decided to give them a shot. You’ll be happy to know my coffee machine was happy with the pods Not only are they eco-friendly and can be recycled with your other plastic containers at home, but CRU Kafe coffee is also Fairtrade & Organic and they pride themselves in the high quality of their blends. How did CRU Kafe fare in my taste test? I have to say I immediately fell in love with their Dark Roast, with its notes of dark cacao, molasses and raisins. It is the perfect coffee to give me a bit of ‘oomph’ in the morning and I actually prefer it to Nespresso’s Roma, my favourite coffee until recently. I do love a latte and the strong, bittersweet Coorg Estate (India) has been a real treat for me. 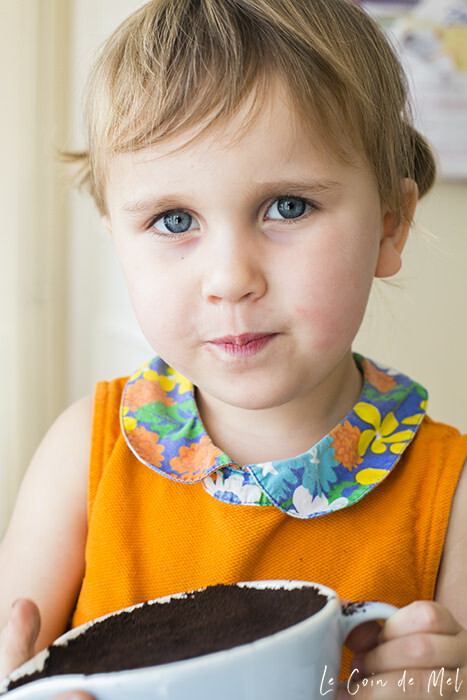 We had a party for Beanie’s 7th birthday a couple of weeks ago and I also received lots of compliments about CRU Kafe’s Light Roast and Decaf. I love CRU Kafe so much I’ve just ordered 96 pods for myself as well as a starter pack for my coffee-loving friend’s birthday. The lovely people at CRU Kafe challenged me to reuse coffee grains after I’d enjoyed my morning caffeine fix, so I spent the past few weeks collecting my used pods. 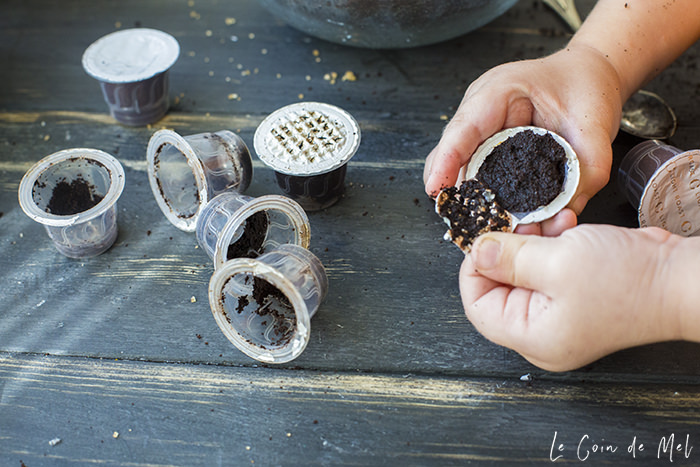 If you follow me on Instagram and watch our stories, you’ve probably noticed that in the past 3 weeks, I’ve been experimenting with a coffee sugar scrub recipe using my used coffee grounds. I’m pleased to say my recipe is ready to share. 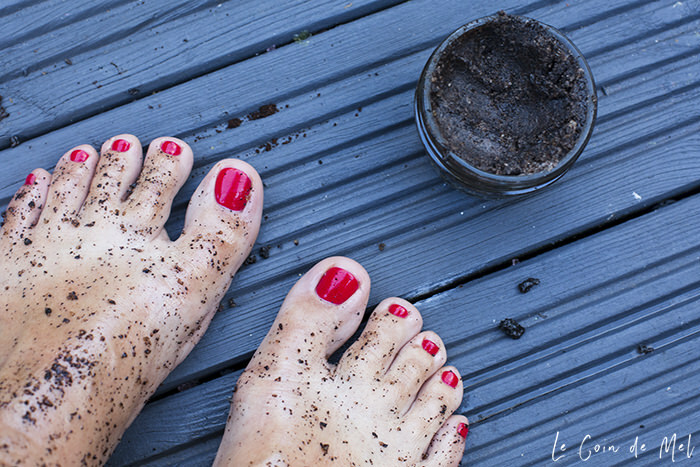 I have always exfoliated, but now I’m in my late thirties (how on earth did that happen? ), my skin is not as firm or soft as it used to be. Using a good scrub in the shower takes no time at all and it means getting rid of old skin cells that leave your skin looking dull, rough, and dry. Caffeine also helps tighten the skin, which could help reduce cellulite (yes please!). 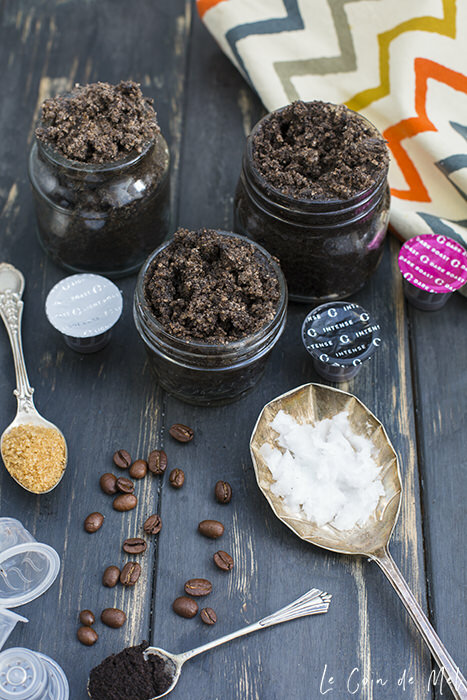 What’s not to love about my little coffee sugar scrub? 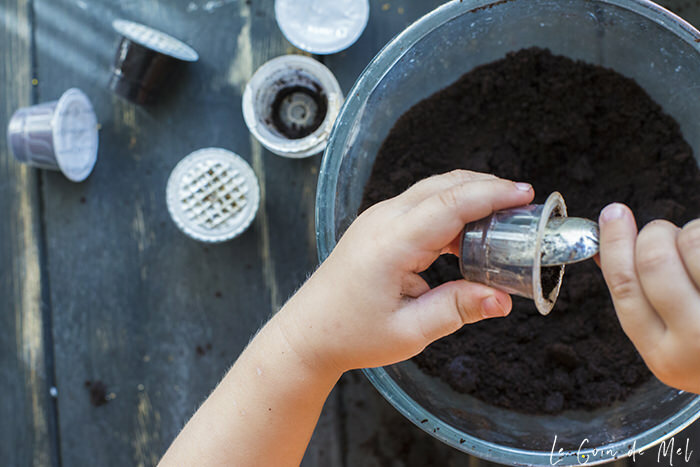 It’s homemade, takes less than a minute to put together and it’s an eco-friendly way of reusing ground coffee and empty jars. 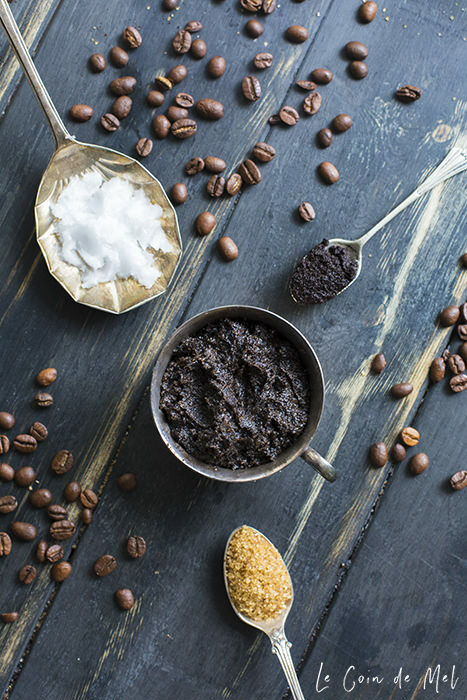 This coffee sugar scrub recipe is quick, easy, really ‘scrubby’ and it leaves my skin soft and beautifully moisturised. You probably have the three ingredients needed at home! If you just need a bit of scrub here and there, simply empty a couple of pods and rub together with a tablespoon of coconut oil and 2 tablespoons of demerara sugar before using in the shower. That is it! It doesn’t look pretty if you mix it with your hands, but it does exactly the same job as when you follow the steps below. 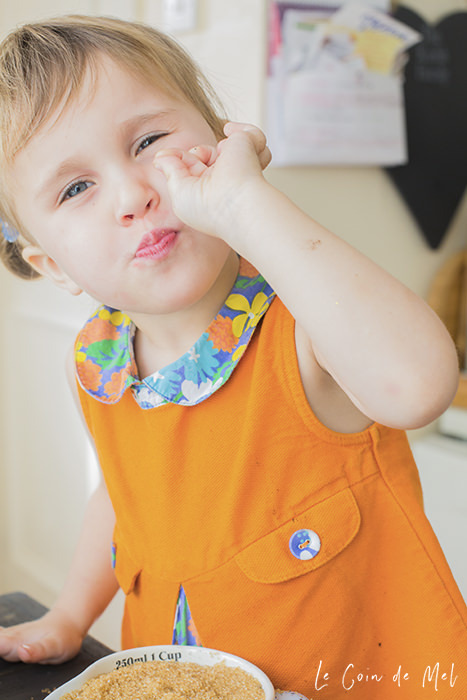 My little Wriggly and I spent time together making a large batch of scrub (we have 5 jars of it now! ), upcycling jars I’d been saving for a project like this one. She was so keen and helpful, bless her! After I’d put a knife through every pod’s foil, Wriggly happily spent ages peeling every last bit of foil off. She then emptied the wet grains into a large bowl, and I kept the used coffee at room temperature for day or so, until completely dry. I would give it a stir every few hours, to make sure it dried evenly. 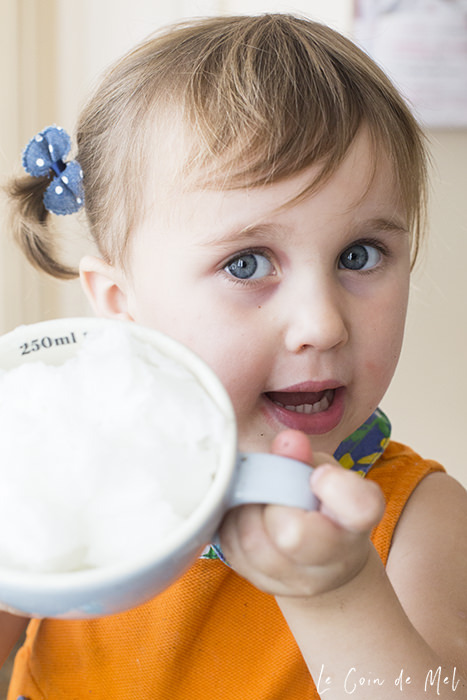 Check her out as she’s showing off the three ingredients needed for the coffee sugar scrub. and finally demerara sugar (double the volume). Air dry used organic ground coffee for about 24 hours, stirring occasionally so it dries evenly. Wash and dry thoroughly a few empty jars (just a bit more upcycling!). In a large bowl, mix together one cup used organic ground coffee, one cup organic coconut oil in its solid state and two cups organic demerara sugar. Transfer to two clean jam jars (fill them as much as you can) and close the lid tightly. Disclosure: This post is sponsored by CRU Kafe. As always, all opinions and photos are my own.